More things to see and do than Hubbers can even write about! Ghost32 published a hub about his adventures while meeting up with Will Starr, our resident literary story teller here on Hub Pages. Will and his special someone drove out to the Border Fort, as Ghost so eloquently calls his home on the range. From the comments, it became clear that many other hubbers would be interested in meeting up offline. Heck, we've been attending this online community for years, and very few of us have actually met up in the real world! There are some stories here and there of hub people getting together at various locations around the country. Some have met at state parks. Some have met at the Grand Canyon. RealHousewife and I have met here in Austin, Texas and at Cancun, Mexico. We all reported having a wonderful time meeting up with our friends. So, when the discussion comes up about organizing such a meet up, I gather that the general consensus about where to introduce ourselves and have a great time doing it would be Las Vegas, Nevada! Everybody loves Las Vegas. 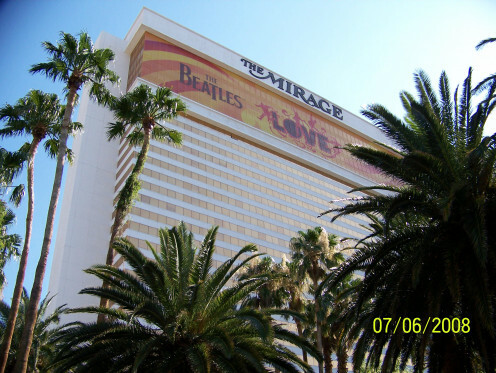 Update - As of August, 2015 We still have not been able to successfully organize a Hub Pages Writer's get together in Las Vegas. Please email me or start a forum if you would be interested in trying to get this idea back on track. 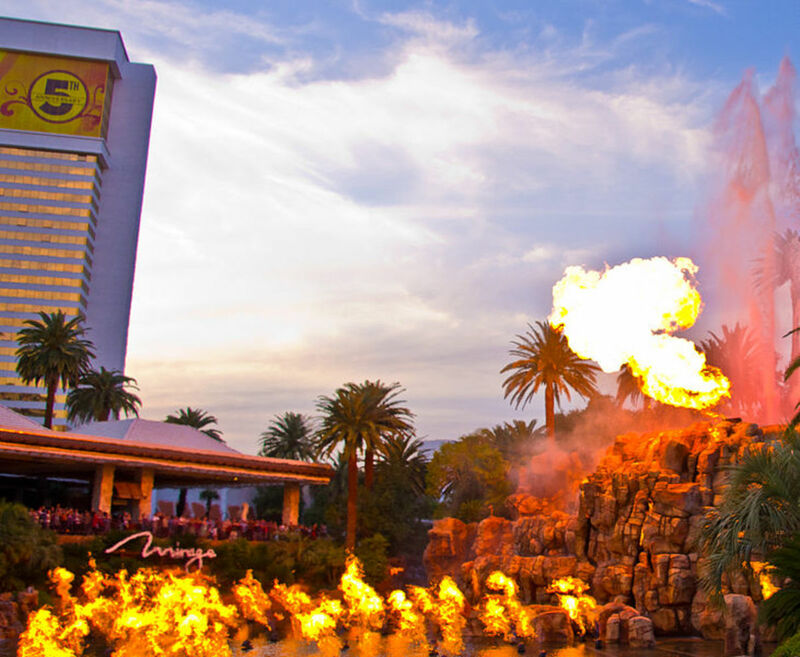 Can you commit to a vacation in Las Vegas? When would be the best time to go? The rates plummet in Las Vegas just after the New Year's festivities, so I think January or February would definitely be the best time to go. Since Las Vegas is the Disneyland destination for adults, I think it's safe to say, the kids should stay home and in school. Perhaps this would be a good time for grandma and grandpa to babysit and let the adults out to play for a while. Or, in most of the cases, it's a time for grandma and grandpa to get away from the grand kids! I think most of us hubbers are adults without children, but there are quite a few stay at home moms. Hence the paragraph above. Which block of time would work for you? 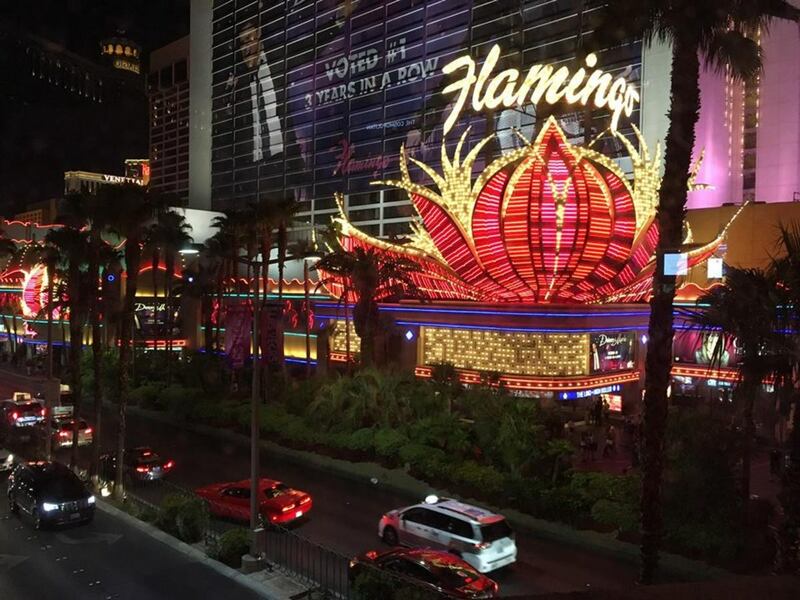 Where is the best hotel in Las Vegas? Everyone probably has their favorite Las Vegas hotel. Of course, we all don't have to stay at the same hotel either. I have been to the Luxor, Circus Circus and the Mirage. Out of those three, the Luxor was my favorite, and they usually offer fabulous rates for January, as low as $55 dollars a night! In my opinion, this hotel features the most bang for your buck. The food at the Luxor is as good as any other hotel, plus they have a food court where all kinds of choices are available. Of course they have buffet dining or it is not far away to be sure. There are even all-inclusive offers for dining, hotel, the headliner show, and the spa. 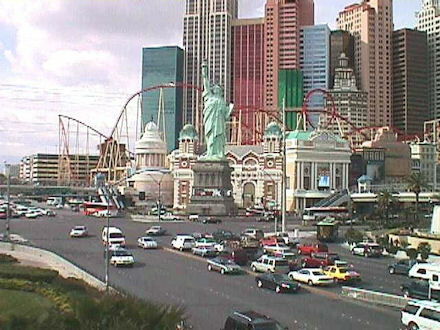 Perhaps the Luxor doesn't have the 'loosest' casino in the city, but taxi's, buses and rental cars are available. I'm sure they have nickel and perhaps penny slots which are always fun. The fabulous Las Vegas pools are not going to be a big attraction in January, but the Luxor does have some lovely pools and is next door to the great Mandalay Bay 'beach'. There is also a large aquarium in the Mandalay which is connected to the Luxor hotel if I remember correctly. The Luxor does have an incredible spa, which is where most of my money goes when I am in Vegas. 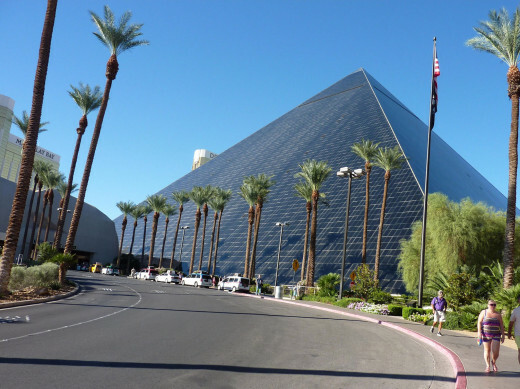 The Luxor pyramid has a cool inclinator that takes guests up to their rooms. The views are spectacular! For those that don't care for slanted windows, the Luxor does have a tower hotel. Which hotel should all of the hubbers stay at? Another Great Las Vegas Hotel! 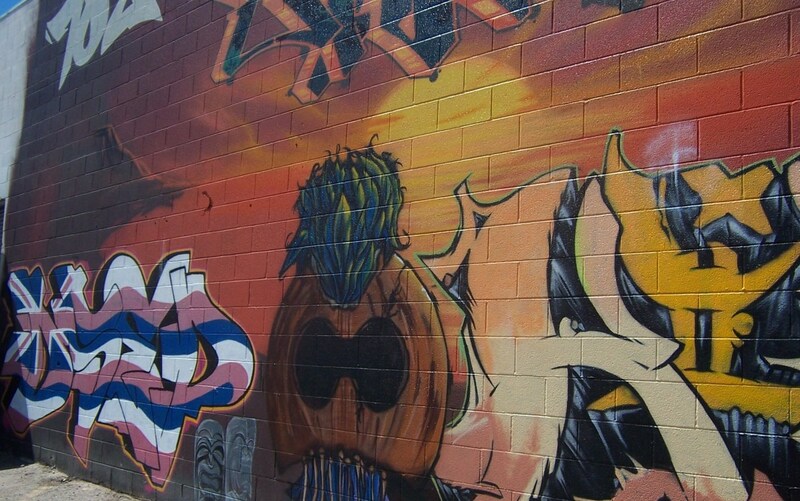 Count's Kustoms is a cool little automobile shop in Las Vegas. Danny, aka - The Count, is the star of Counting Cars. I am looking forward to seeing his shop, his tattoo parlor or his band, the 77's. Hopefully, everyone has seen Pawn Stars on TV. We could take some pawnable merchandise with us to Las Vegas and see if we can get a good price for it when we run out of money. Or just go there for an interesting day of shopping! I'll be doing a follow up hub soon, guys! We are going to make it happen. I haven't gone anywhere for so long and would love to meet you all in person. I have to wait and see though so I can't commit. It's a great idea! Okay! Got you down, pard'ner. We're in! Just let us know and we'll be there! Pam sounds like my kind of woman! Believe it or not, when I travel, I take my bed with me! I use the air mattresses (twin size) that blow up. I can't sleep on anything except air due to hip/back/joint problems. The great thing is - any roach free hotel will do! You did it! Way to go, Austinstar! Must be the Year of the Star People: WillStarr & wife visit, Austinstar steps up to coordinate...aweseome. I'm still in Los Angeles, just got a bit of time to check in online and found you had this Hub up and running. I voted for the 3rd week in January but am pretty sure Pam and I will have no problem whichever week is eventually selected, nor will we have a problem with whichever hotel is selected. As you're commenting on my other non-related Hubs (I'll be publishing again by, hopefully, Monday morning), feel free to throw in a one-liner on each (with link to this page) to promote the get-together. If done in synch with a topic-related line (for each Hub), and being as it's totally promoting the HP community, the guideline ghouls shouldn't bother you, eh? Excellent! Let's hope Holle can go too! I'm pretty sure Real Housewife (Kelly) will go. In my initial research, the best price I found was $38 per night at the Stratosphere which is a very good deal, but the Luxor is a much better hotel in my opinion. I'm not locked in yet. We'll reach a consensus by December, I'm sure. What a neat idea, Lela, I would love to meet you-all in Lost Wages, I mean Las Vegas - one of my favorite places to visit my money. The Luxor sounds great but there may also be a great rate at one of the other fabulous hotels. 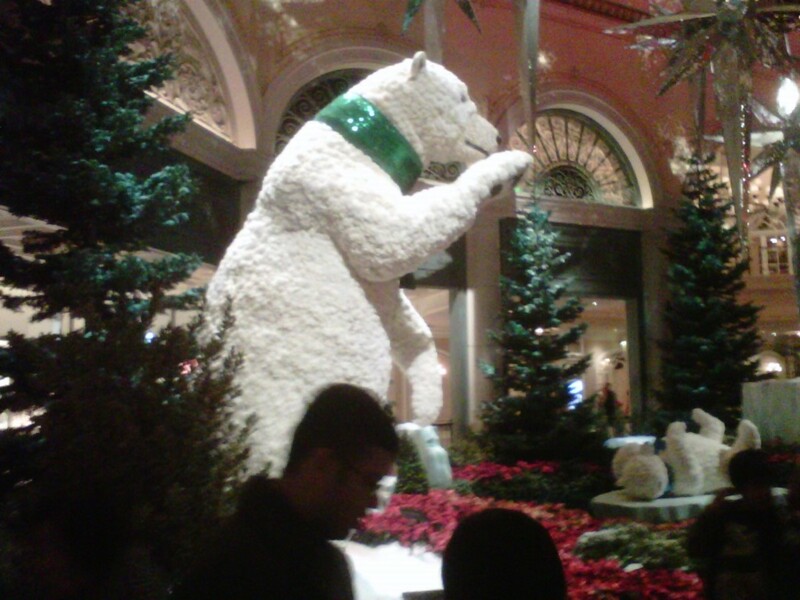 On my last visit, I stayed at the Bellaggio at a special rate. It's too early to commit for sure but I AM interested, m'dear. This sounds like a lot of fun...unfortunately, I don't think I will be able to go. I have to take a lot of time off from work for some medical issues and probably won't have any time left. I like the activities you have listed! I hope lots of hubbers make it! I expect more commitment as the date gets closer and people are able to make plans. If nothing else, it's always fun to go to Las Vegas for a vacation! Sounds like a lot of fun. Maybe the place to stay would be the one with the best deal available. I hope to be able to go, but can't commit yet.